BLUE VELVET may just be one of the most depraved and transgressive love stories ever put on film. It’s a complex narrative that ushers the audience past their comfort zone into a dark and dangerous world of obsession and perversion. Not only do we enter this world through our innocent protagonist, Jeffery Beaumont, but we see and experience what he is exposed to. As his innocence erodes, as does ours. Like anything David Lynch, the film is richly layered. The color scheme can be overanalyzed, as can the vague shadow world crime story, and especially the shifting timeline. When we’re in Jeffery’s world, we are in this overly nostalgic “good old days” of Americana and once we enter into Frank Boothe’s life in the fast lane all of a sudden we are thrown into this overly stinging and lightspeed paced contemporary (the 1980s) world of drugs, violence, and sexual perversion. 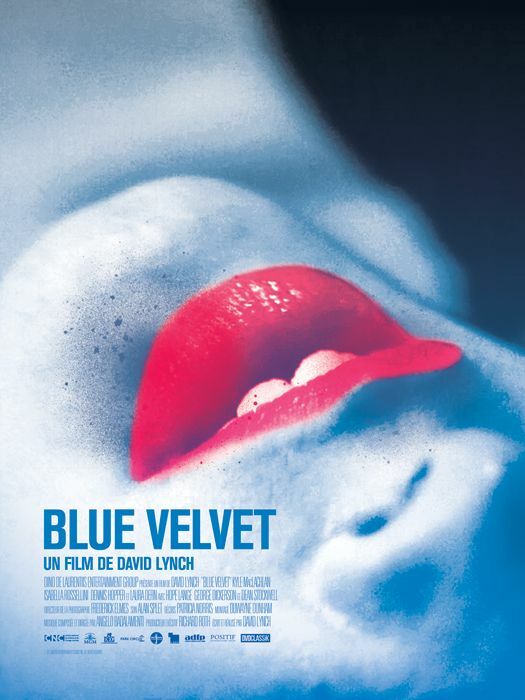 Lynch constructs a deeply layered world by his own aesthetic and his brilliant casting strokes. Kyle MacLachlan and Laura Dern’s star-making performances zigzag back and forth between the two worlds that Lynch creates, showcasing their brilliant range as actors as they carefully hold the audience’s hands during the build up of the story only to rip away once they enter the world of Frank Boothe. Dennis Hopper is incredible in this film. His embodiment of Frank Boothe is not only one of the finest performances on film ever, but it is such a bold and daring performance. Frank Boothe is nearly irredeemable. He’s disgusting, he’s dangerous, he’s insane – yet he has a very empathetical trait. Everything he is doing, he’s doing because he is so very much in love with Dorothy Vallens played by Isabella Rossellini who matches and outdoes Hopper when it comes to giving a deeply brave performance. With Lynch’s casting of Priscilla Pointer, Frances Bay, and George Dickerson he builds his pure vision of the idea of America, only to tear it down with the Hopper and more specifically former Golden Age of Hollywood child star Dean Stockwell in one of the most unique and scene-stealing performances ever. Stockwell’s overly caked on makeup, 70’s powder suit, and lip syncing Roy Orbison’s IN DREAMS using a work light as a microphone is one of the most memorably haunting scenes in Lynch’s canon, and that’s saying a lot. Once the rip cord is pulled in the film, it is an incredibly exhilarating ride. How this film got made, or better yet distributed to the degree it did upon its initial release is gobsmacking. It’s a piece of cinema that will never be outdone. It propelled Lynch into a stratosphere of auteurs that not many can even approach.